Congrats on a third win Travelguy2. Ooof. It is three times. Come on, someone step up! Thanks for the warm wishes...it's dumb luck, like picking the Tenn over Denver/upset. Now, onto the fourth win. BwaaaaHaHa!!! Congrats to papajohn for winning week fifteen! I will get the prize out to you soon! 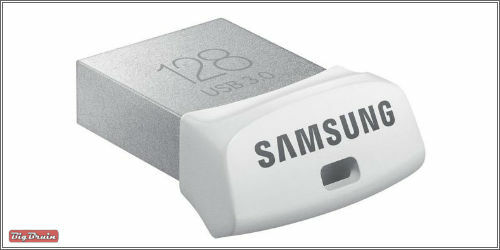 Up for grabs is a brand new Samsung 128GB USB 3.0 Flash Drive Model MUF-128BB/AM, as seen at Newegg Business. Woohoo! Lucky same score pick up helps! Congrats papajohn, I almost picked Carolina but changed my mind. Congrats papajohn on the third win.